The Honda XRV750 Africa Twin was one of the first Japanese monster trail/desert rally bikes and remains one of the best and is the most sought after. Power output is much lower than the latest machines but the slimmer seat makes it easier to manage once you leave the Tarmac. A true classic. 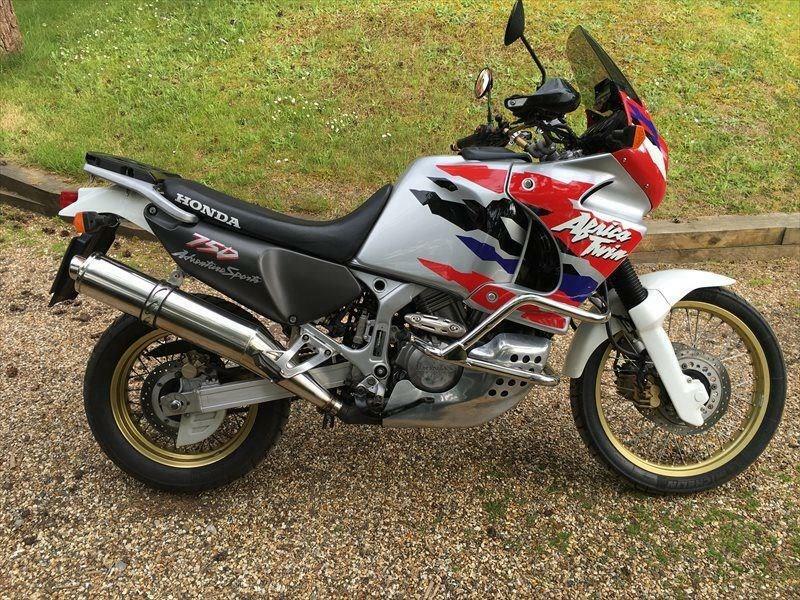 This 1997 model has covered 42,000 miles and is available for £3,600. It's had plenty of new bits and looks in good working order. Got an iPhone? Download our new, simple Bikes for Sale app here.